BMW India in a very unique initiative has started a Mobile dealership, yes, you read it right a mobile dealership which will visit 7 different cities across India starting from Karnal in Haryana. 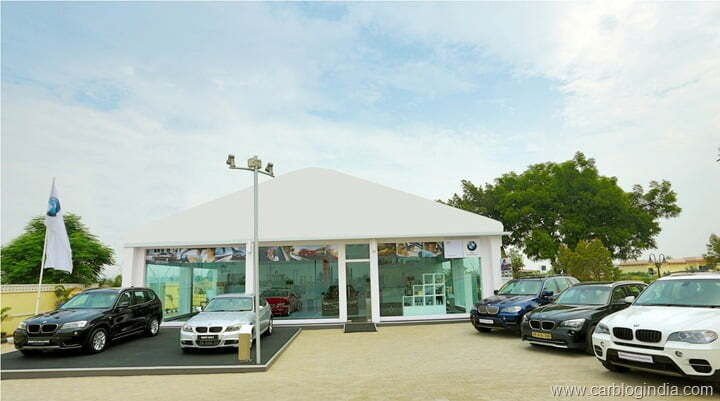 The purpose of this mobile dealership is to reach the unexplored locations and give potential customers a chance to experience and test drive BMW cars. BMW Financial services will also be provided though the mobile dealerships. The dealership will visit 7 cities which includes Karnal (Haryana), Agra (Uttar Pradesh), Dehradun (Uttarakhand), Jamshedpur (Jharkhand), Patna (Bihar), Bhopal (Madhya Pradesh), and Nashik, Maharashtra. BMW does not have any existing dealerships in these cities. Interacting with the customers and based on the customer response and foot falls, BMW will gain important information on planning its future dealerships. As a special benefit for the customers availing BMW finance via the Mobile dealership, BMW will offer up to 100% funding for entire BMW product range via these dealerships. The Mobile dealership will have 4 cars on display, a reception area, a VIP lounge etc. There will be cars for display as well as test drives including the all new 2012 BMW 3 Series, BMW 5 Series, popular crossover BMW X1, X3 and X5. Across different location, the showroom will also showcase BMW 7 Series, 6 series coupe, the sporty BMW Z4 also. At present BMW has dealerships at 25 locations across India which will be increased to 40 by the end of 2012 which is an aggressive expansion. The upcoming dealerships will be opened in major metro cities and fast growing markets where the demand for luxury cars is increasing. 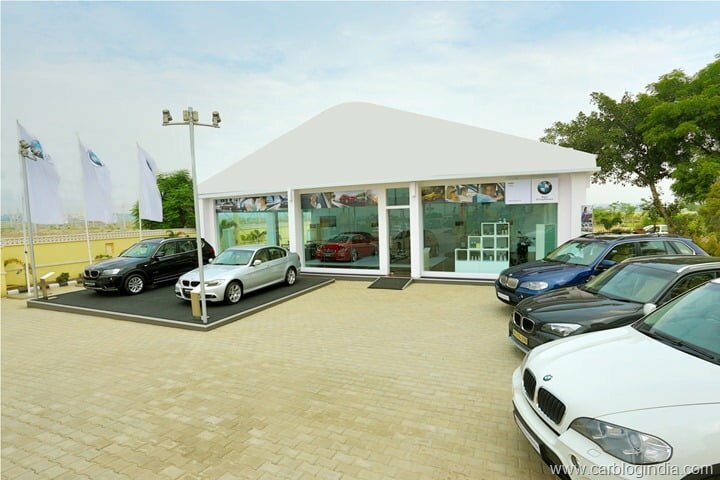 Located at Hotel Noormahal, the BMW Mobile Showroom will be in Karnal, Haryana till August 18, 2012 and will be managed by Krishna Automobile, Chandigarh.